Guarantee a verified formulation feeding. 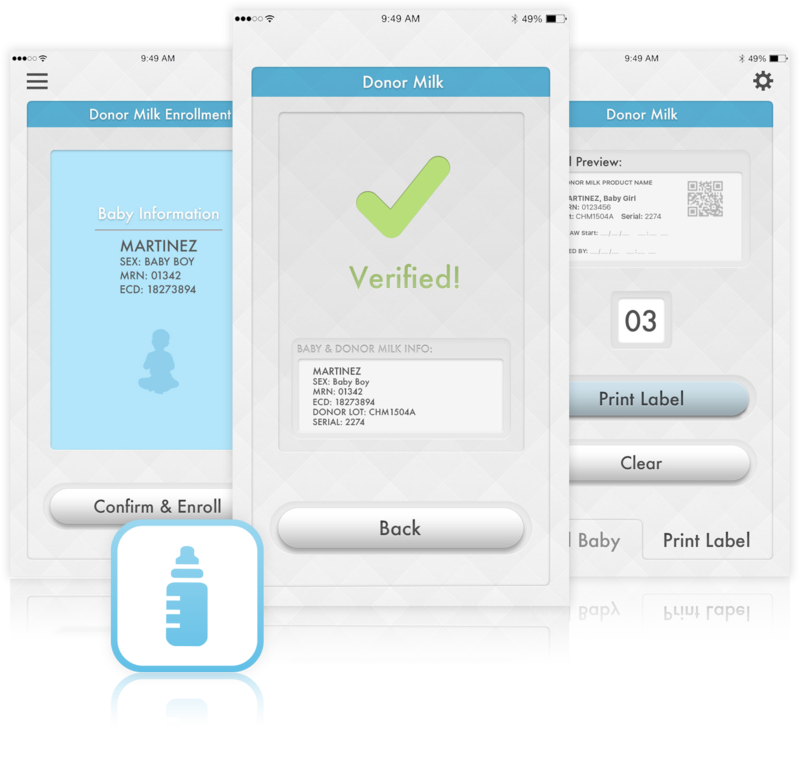 When infants in the NICU require donor milk nutritional products, our solution validates their correct formulation. Carroll, K., Herrmann, K. Breastfeed Med. 2013 Jun; 8(3): 286–290. Document feeding events. Record, customize and access reports. View daily, weekly, monthly, or yearly NICU activity for the nursing staff. Define roles and authorize users. 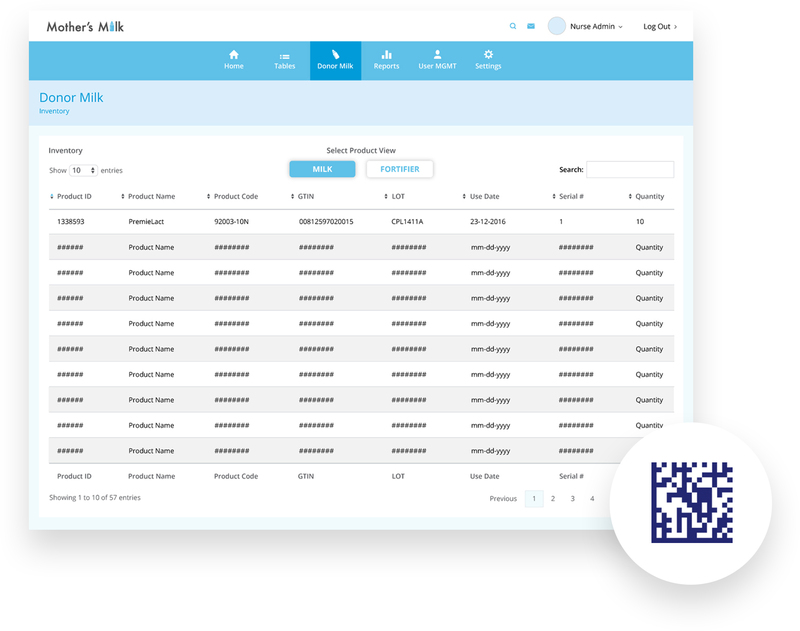 Classifications allow for designation and reporting of nurses and the feeding of each infant as either; verified, denied and/or overridden.GS1 smart bar code scanning manages inventory.